$4,000 DOWN PAYMENT BONUS! 455HP/IN-DASH NAV/FULL GAUGE PACKAGE! We'll add $4,000 to your $6k downpayment to make it $10k down when approved through Transport Funding! Or, get $2,000 off the price! Step down into this super spacious 72" midroof sleeper to get head clearance for a 6ft tall person! 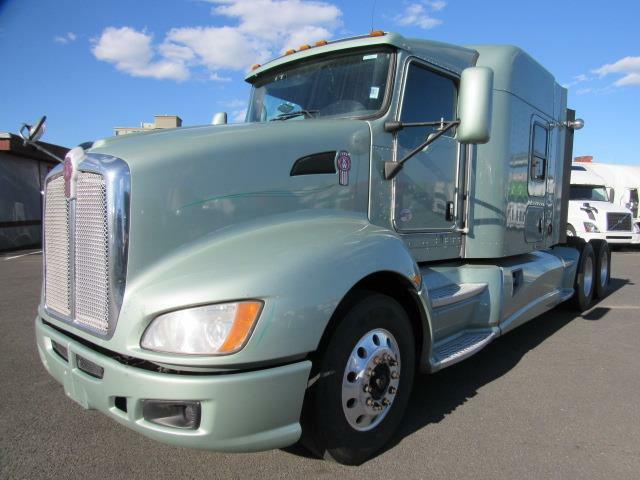 Double sleeper windows for great visibility in tight corners while backing up, super reliable Paccar engine at 455HP coupled to an easy to downshift Eaton Fuller ten speed trans and 3.36 ratio to power up steep slopes with a full load! Low profile for tankers/flatbeds and for low clearance tunnels/bridges. Hood mirrors to reduce blind spots, engine block heater for easy cold starts, storage box, plush dual air ride comfort seats, fog free heated power mirrors, trailer brake, suspension drop/load gauge, diff locks/traction control for snow/mud, fresh PM service!